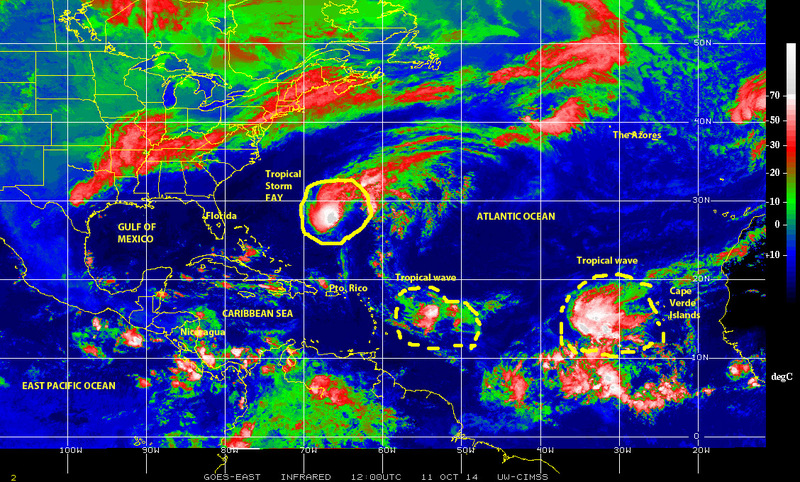 The North Atlantic basin is stirring, perhaps reacting to comments posted here on MITIGAT (ha, ha) or simply because Mother Nature will do what it does; the tropical depression in the central Atlantic has strengthened to become Tropical Storm FAY, the sixth-named tropical cyclone of the 2014 Atlantic hurricane season, now aiming toward Bermuda. This morning we also see two tropical waves riding the northern edge of ‘hurricane alley’, including a rather large and strong disturbance west of the Cape Verde islands. So there is plenty of fuel in the system in this later stage of the season warranting a reminder: Stay alert, be prepared, MITIGATE! Keep in mind, it only takes one hit to make it a bad day! 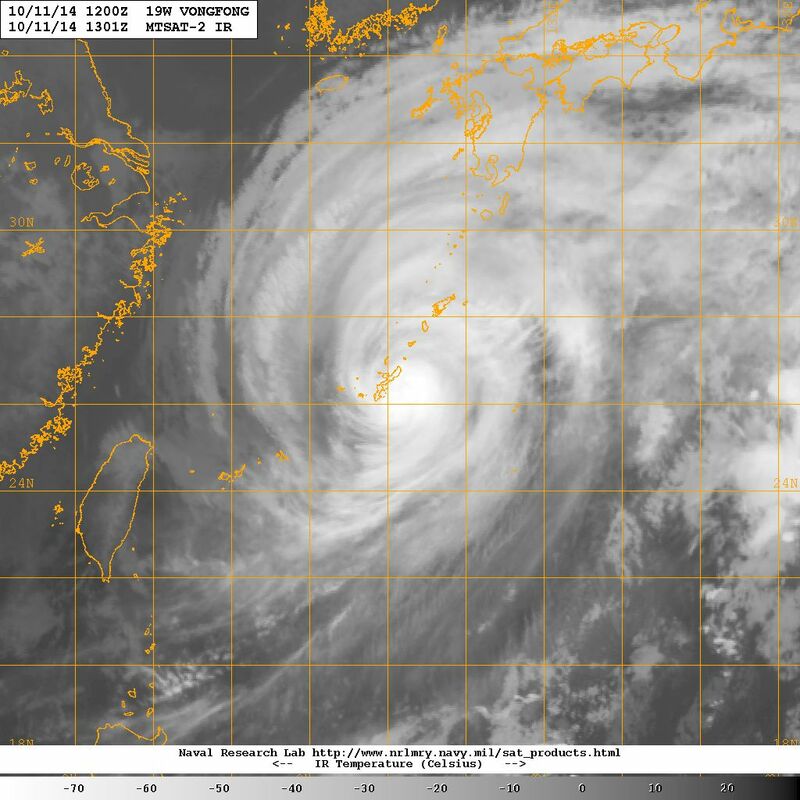 Elsewhere super-typhoon VONGFONG has weakened somewhat during the night, but remains a rather large and dangerous storm barreling over Okinawa as it turns toward the north and then the northeast over Japan’s major islands. VONGFONG is so large that it is already affecting weather patterns over the U.S.A. and Canada as it interacts with the jet stream of its north. Over the Indian ocean in the Bay of Bengal tropical cyclone HUDHUD is strengthening somewhat as it moves toward the northeastern coast of India. Keep tuning in for future updates! 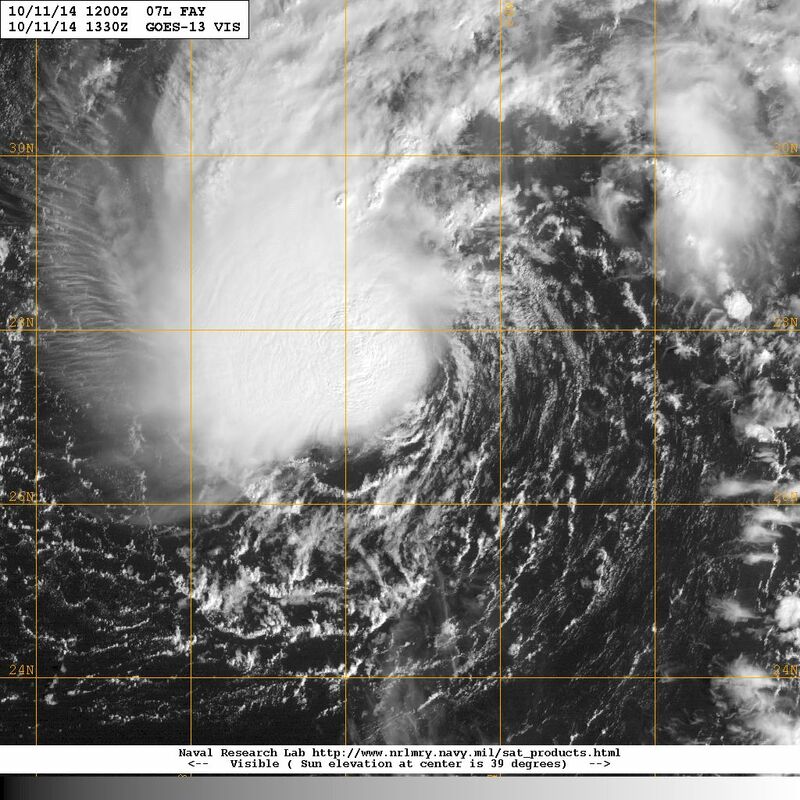 Previous PostIT’S BEEN NINE YEARSNext Post2014 Atlantic: It is FAY and GONZALO out there!